Story opened with the history of Krypton, how and where Superman is born and why he is transported to the earth. Basically, Krypton is dying due to it's unstable core and one scientist Jor El (Superman's father played by Russell Crowe) knowing this fact embedded krypton codex (which he steal from krypton's baby tree or something) to his newborn son and send his son in spaceship to earth so that he could survive and be Krypton's legacy. What is a superhero movie without a villain! 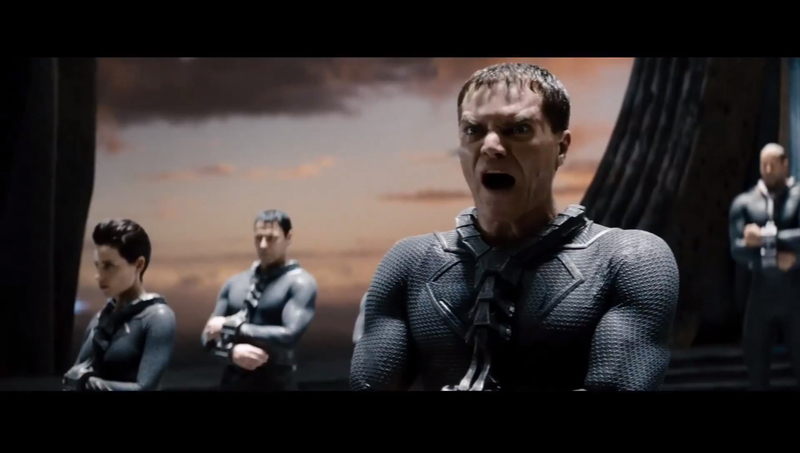 This franchise's villain is General Zod (Michael Shannon, good cast btw! ), who also know that Krypton is dying and wanted to "save" Krypton by taking the codex and search for a new home to start building Krypton again. Apparently the codex is some kind of human generator or something so once you have it you can build Krypton's human anywhere (pls correct me if I'm wrong).. Soon after killing Jor El for taking the codex and even worst sending it together with his baby to the space, he and his crew was send to Phantom Zone (some kind of exile/prison) by the Science Council. Okay now if you watch the movie, you will see Zod over ruled the Science Council (governor of Krypton) before Jor El steal the codex and send Kal El away, and after Zod kill Jor El suddenly the council came from out of nowhere to capture Zod. Odd much?? After a very odd, lengthy, a lot of Russell Crowe's annoying center parted hair later and not to mention left me with a lot of questions Krypton scenes, the movie fast forward to today where Clark Kent is a young, strong, handsome man questioning himself and his ability who ventures from city to city helping people after his father's death. There are a lot of flashbacks scenes to his childhood showing his relationship with his parents and how kid Clark and teen Clark dealt with his power. Henry Cavill, I think make a good Superman. Lois Lane, played by Oscar nominees Amy Adams. May I get a collective BOO! for this?! Why Amy Adams? Why? She looks a tad bit mature (gosh I'm being so soft here, I mean OLD) to be paired with Henry Cavill, don't you think? 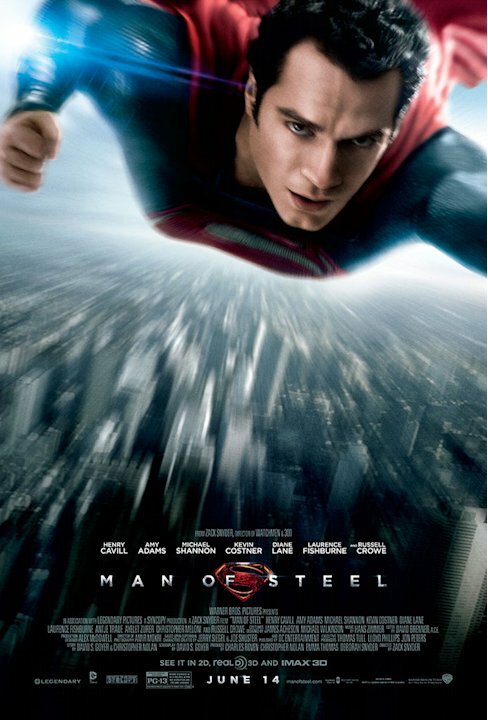 And I don't know about you but they forced too many Lois try to save the day in this movie that make it feel so out of this world hard to digest! Lois first met Clark in Artic where she's investigating what so believed as an aircraft stuck under the ice by the military, she was sneaking in taking pictures while she saw somebody (Clark) walking near the aircraft and decide to go after him. The aircraft was actually Jor-El's craft containing his brainwave hologram (I think) he send to earth to be a guide for Clark. 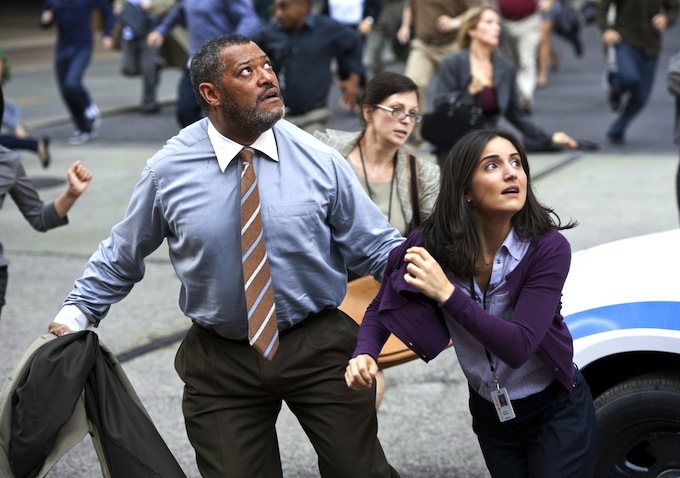 Lois got attacked by the machine guard or something and Clark save her. Believing that Clark is a superhuman after what she saw, she begins to trace and investigate Clark's history. Clark knows that he's being investigated finally meet Lois and tell her his story. 2. There is this scene where Perry White and two other Lois Lane's Daily Planet colleagues running around with a bunch of other civiliants try to avoid the falling concrete after Zod's crew invades earth and destroy buildings and somehow they caught up in the most unimportant and wasting time scenes of all..So many civiliants running around in the streets and suddenly only these three (the other guy is not in the pics) left in the street! How believable! 3. On the final battle between Clark and Zod, they were fighting and flying and crashing into some kind of building or train station. When he finally defeated Zod, suddenly Lois running from out of nowhere to hug her beloved Clark..ok wait a minute does she run (if yes, how do she knows which building? Or did she drive? Impossible, I imagine concretes and spoilt cars are everywhere like that last picture..or does she have the ability to transport one place to another? By the way, I'm sooooo excited for this coming this weekend!!! Hope the movie as good as the trailer!